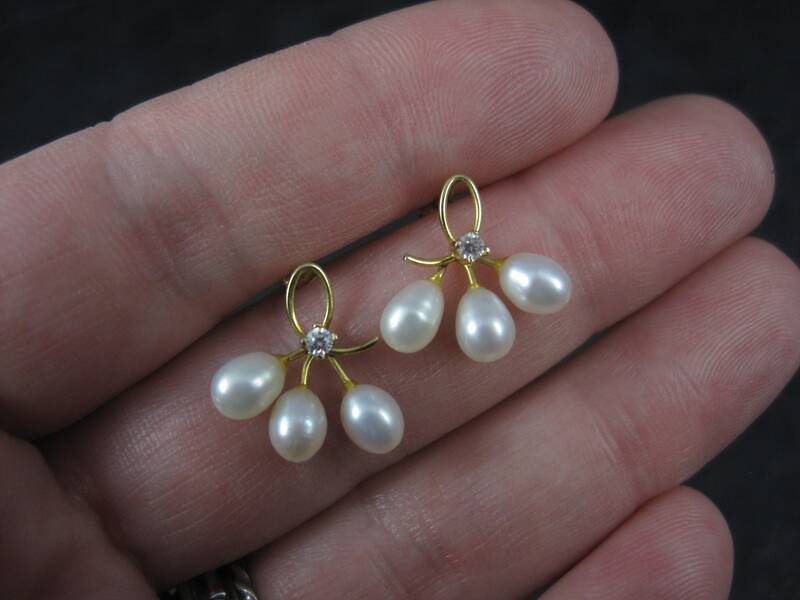 These gorgeous vintage earrings are 14k yellow gold. 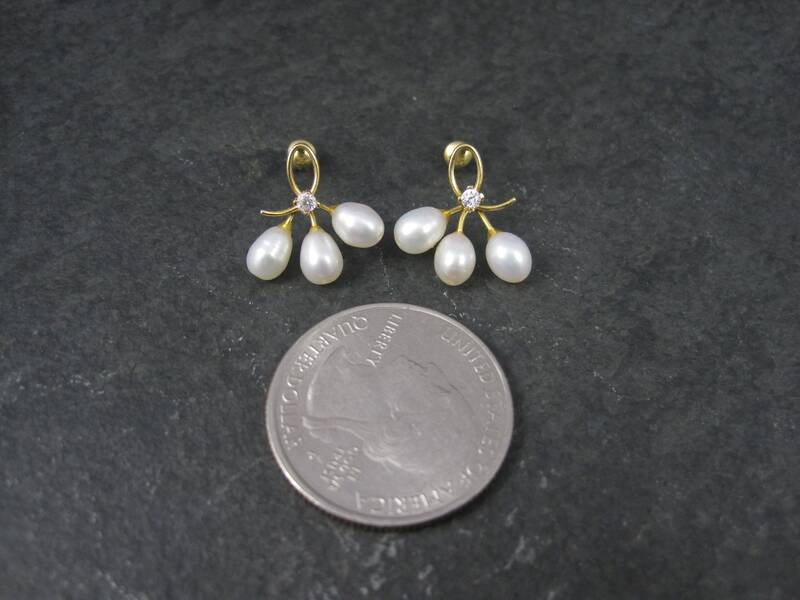 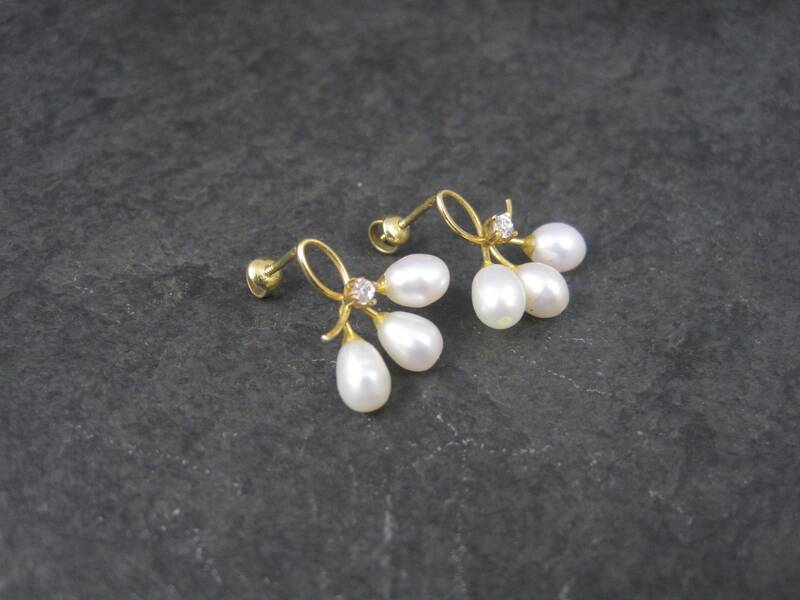 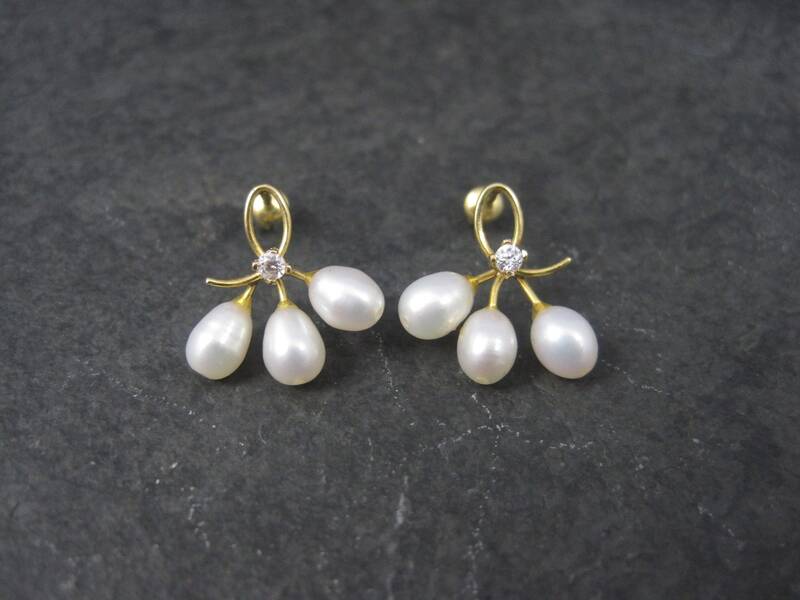 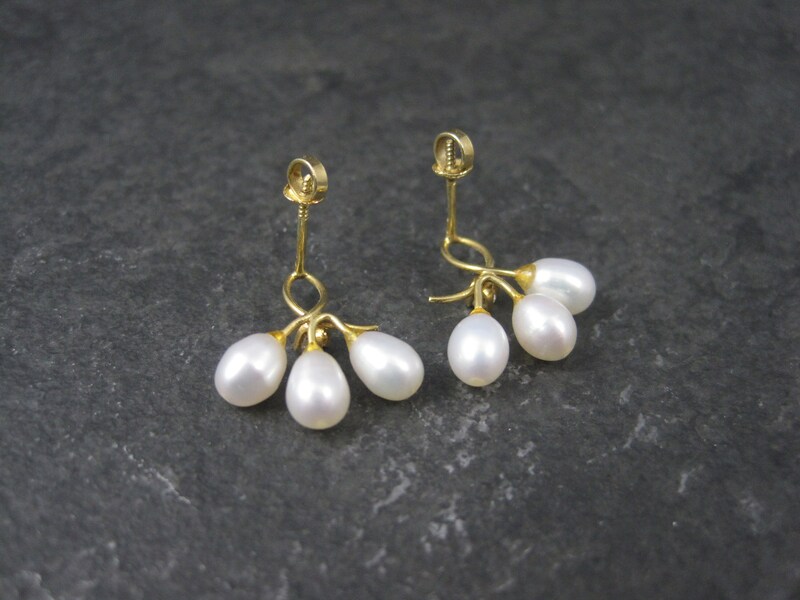 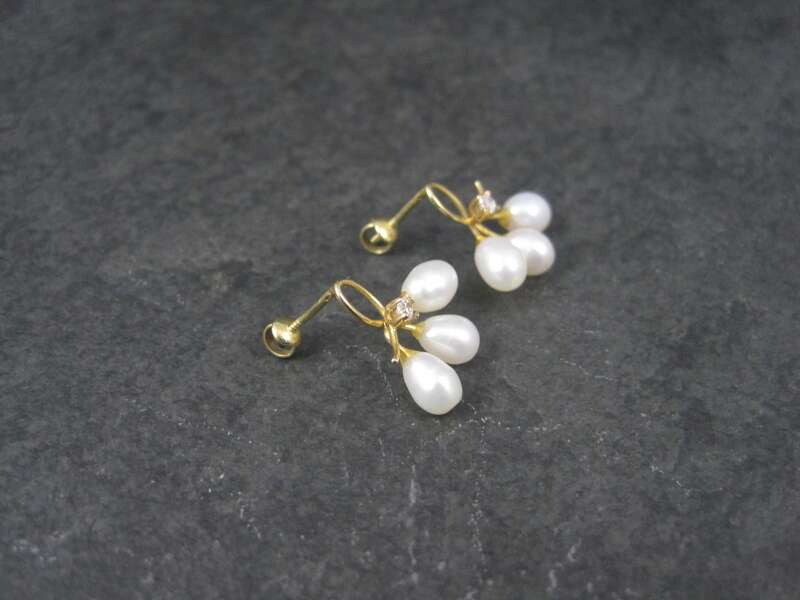 They feature 2mm diamonds and natural pearls. 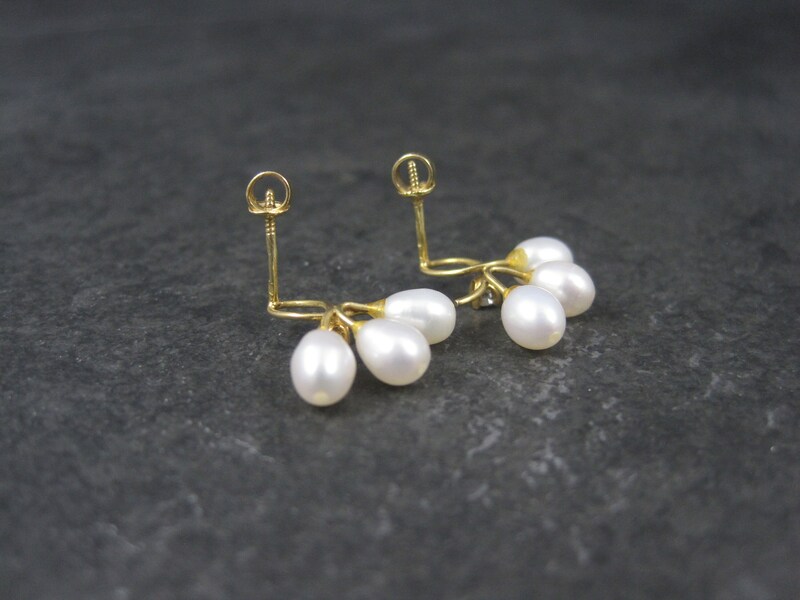 Condition: Excellent - though the backs are the original, they are hard to get on and off.